The San Jose Sharks announced changes to their front office today with several moves coming in their scouting department. Highlighting these changes was the promotion of Tim Burke to Assistant General Manager. Burke joins long-time Assistant GM Joe Will working under GM Doug Wilson. It is a well-earned recognition for Burke, who has spent the past 20 years with the franchise. Burke had previously served as the team’s Director of Scouting prior to his new promotion. As the Sharks pointed out in their press release, the team has owned the lowest average draft slot in the league over the past 15 years, but Burke and his staff have managed to uncover gems like Joe Pavelski, Logan Couture, and Marc-Edouard Vlasic. Burke’s primary responsibility will continue to be evaluating amateur talent and orchestrating the draft for the Sharks, but he will also take a larger role in the evaluation of professional talent at all levels as well. Replacing Burke as Director of Scouting is none other than Doug Wilson Jr., the GM’s son. Wilson Jr. is entering his seventh season with the team, most recently as the Sharks’ Director of Hockey Operations, and will continue his previous duties relating to the NHL Draft. Working with Burke, Wilson Jr. will hope to continue San Jose’s success of finding strong players in both the draft and undrafted free agency. After just locking up veteran Joe Thornton only a few minutes ago, the San Jose Sharks followed that up by announcing they have signed restricted free agent Tomas Hertl to a four-year contract extension. The Athletic’s Kevin Kurz writes the deal is worth $5.625MM per year. Hertl has been plagued with knee injuries throughout his career, but put together his best season ever last year when he tallied 22 goals and 26 points. They are similar numbers to his 2015-16 campaign, but knee injuries persisted the season after when he was forced to undergo surgery after re-injuring his knee during the Stanley Cup Finals that year, which forced him to miss all but 33 games that year. One reason for his success this season was due to a positional change. The 24-year-old moved from center position to the wing alongside Logan Couture, which made a big difference to the success of the team’s top line. Hertl, a first-round pick back in 2012, has started to show leadership abilites and that showed in the playoffs when he posted nine points in 10 games and was a steady force against the Golden Knights in the second round of the playoffs. July 1: The Sharks have now made the deal official and confirmed the aforementioned terms. June 30: The extension is worth $64MM over the eight years, report David Pagnotta of The Fourth Period (Twitter link) and Josh Dubow of the Associated Press. June 27: The Sharks are closing in on an eight-year contract extension with forward Logan Couture, Pierre LeBrun of TSN and The Athletic reports (video link). No financial terms are available at this time but he notes that the contract could be made official on Sunday, the first day that he’s eligible to sign the extension. Signing players to early extensions is something GM Doug Wilson has done in the past. 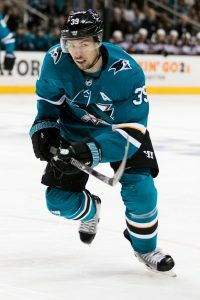 Last summer, he inked defenseman Marc-Edouard Vlasic (eight years) and goaltender Martin Jones (six years) as soon as they were eligible to. Couture has spent his entire career with the Sharks who drafted him in the first round (ninth overall) back in 2007. He became a regular with the team three years later and has never looked back as he has emerged into a reliable two-way forward that has been fairly consistent offensively, averaging between 0.69 and 0.83 points per game over the last eight years. The 29-year-old is coming off of one of his best seasons as he set a new career high in goals (34) which will certainly help his negotiating leverage. He’s set to earn $6MM for 2018-19 and it’s quite likely that this new deal will exceed that amount. As the contract won’t kick in until 2019-20, it won’t have any immediate bearing on their pursuit of soon-to-be UFA center John Tavares or any other players they’d look to add this summer. Assuming this gets finalized as expected, it will be interesting to see how quickly Wilson and the Sharks turn their focus to center Joe Pavelski. He’s also set to enter the final year of his contract next season and is eligible to sign a new contract as early as Sunday. The 33-year-old has also spent his entire career in San Jose and is coming off another strong campaign where he posted 66 points in 82 games. However, if they are able to land Tavares or another prominent addition up front, they may not have the long-term cap room to keep him around. Accordingly, while the Sharks have acted quickly on extensions as of late, one for Pavelski may have to wait a little while yet. July 1: The Kings have officially announced the contract, signing Doughty to an eight-year, $88MM contract extension. The deal will kick in for the 2018-19 season, and make Doughty the highest-paid defenseman in the league, barring an even bigger extension being signed before then. June 29: A major impending free agent is about to be off the market, but it’s not a member of the 2018 class, but the 2019 class. When July 1st arrives and players with expiring contracts after next season are first eligible to sign extensions, Los Angeles defenseman Drew Doughty is expected to re-sign with the Kings. TSN Insider Pierre LeBrun reports that the two sides put the finishing touches on a max eight-year extension today that will be officially signed on Sunday. No financial terms have been disclosed. The Kings are undoubtedly one of the teams that benefited the most from the massive salary cap spike this off-season. That added flexibility allowed L.A. to add much-needed scoring in the form of Ilya Kovalchuk without losing the breathing room needed to retain Doughty. For a time, many speculated that Doughty would test free agency next summer, but over the past few months the Norris Trophy-winner has made it clear that he would prefer to stay with the Kings. The team’s acquisition of Kovalchuk and continued search for talent this off-season was likely the very last boost of confidence that Doughty needed to re-up in L.A.
Doughty now joins fellow defenseman Oliver Ekman-Larsson of the Arizona Coyotes and center Logan Couture of the San Jose Sharks as potential superstar free agents who will instead sign on with their current teams as soon as possible. Doughty is the biggest name so far and, if previous reports prove true, will soon be the highest paid defenseman in hockey. Doughty has gone on the record as saying that he would like to be paid more than Nashville Predators blue liner P.K. Subban, who is currently the highest-paid defenseman in the league at $9MM AAV. LeBrun’s TSN colleague Darren Dreger is among many speculating that deal will land in the realm of $11MM per year over the eight years, which would make him the new top dog among defenders and the second-highest paid player in the league – at least until Erik Karlsson signs his next contract. While reports suggest that John Tavares and his representation are speaking to five teams in Los Angeles, there is some confusion of which teams Tavares’ camp is speaking to. It was reported that the Toronto Maple Leafs, San Jose Sharks and the Dallas Stars are three teams that are definitely meeting with him, while other teams such as Vegas and Tampa Bay have been suggested as possibilities. The Maple Leafs have been interested in signing Tavares for a long time, years in fact. However, with the state of their salary cap in the coming years with contracts of Auston Matthews, Mitch Marner and William Nylander on the books, there are a lot of questions whether the Maple Leafs are really true candidates to bring Tavares on board, especially after the team splurged a season ago when they pried Patrick Marleau away from San Jose. The Athletic’s James Mirtle (subscription required) writes that trying to add a contract that at the moment is linked at $11MM per year for Tavares (possibly $12MM) might be challenging, but not totally impossible. Unlike two years ago, when they tried to sign Steven Stamkos when they were a struggling franchise, things are much different. For one, Tavares gets to come home, he can immediate play for a top team which has a legitimate chance to win a Stanley Cup, and lots of cap space in the first year of a contract, which is where the discussion ends. Mirtle suggests one rumor that has been going around for week is to offer Tavares a one-year max deal, which would be worth $15.9MM. Then the team could attempt to lock him up to an eight-year deal after that. However, that could also be construed as cap circumvention as well as dangerous if Tavares gets injured in that first year. Another offer Toronto could add to the package is the captaincy, but that would also be an issue considering that Matthews has been in line for that role. David Pagnotta of The Fourth Period confirms that the San Jose Sharks were the second team to speak with Tavares and his representatives. He writes that the Sharks are all-in on Tavares and the entire organization is on board to bring Tavares in. With more than $18MM in cap space, the Sharks have the money even after locking up winger Evander Kane to a seven-year, $49MM extension last month. 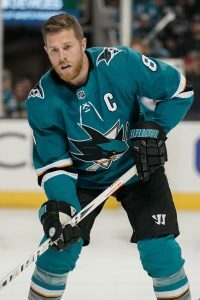 With their defense and goaltending, alongside Tavares, Kane, Logan Couture, Joe Pavelski as well as a bunch of talented younger players that are ready to break out, the Sharks would look like a perennial Stanley Cup contender. Joe Haggerty of NBC Sports writes that while there is no word yet, the scribe gets the sense that the Boston Bruins haven’t been told yet whether they are one of the five teams that Tavares will meet with, but Boston definitely wants a meeting with the center. Boston has almost $12MM of cap space available and a team that is full of both veterans and young stars in which the addition of Tavares could take them to that Stanley Cup level as well.